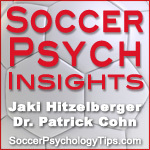 Welcome to episode 10 of Soccer Psychology Insights, your mental training podcast. On this episode, Jaki Hitzelberger, MA and Dr. Patrick Cohn talk about how to keep confidence after big losses, setbacks, and failures. Many soccer players dwell on losses and allow missed opportunities to hurt their confidence. Athletes are renown for being hard on themselves, which can have both a positive and negative affect on their performance. We want soccer players to work hard and set high goals but it’s also important to be able to move on quickly and remain confident after losses. Every soccer player is going to experience some kind of failure. What separates the good from the great is how they react to setbacks. The best athletes in the world use failure as motivation to continue to improve. They don’t let a loss or a missed opportunity impact their belief in their ability. 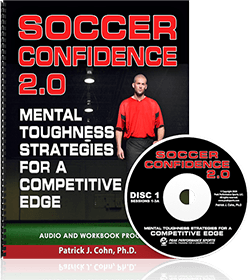 Listen to our soccer psychology podcast using the player below to learn more about staying confident in soccer. If you have a question for us, please visit our Contact Us Page and submit your question, we will do our best to answer your question in our Soccer Psychology Articles or on Soccer Psych Insights. 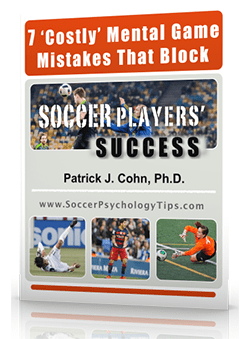 Download our free soccer psychology Ebook “7 Mental Game Mistakes that Block Soccer Players’ Success” and learn how to overcome other mental barriers in soccer.